HDTV, LED, LCD, OLED, HDMI... ABCDE? It's a big purchase. It's probably one of the most expensive things in my house. It's what I actually want to do when I come home after work even when I tell my friends that I'm ready for a night out. It's what all my living room furniture is pointed towards! I get it, you like watching TV. No, I love watching TV. So it's only natural that when I needed a new TV, I spent a lot of time and money on buying the perfect one. If I'm going to be binging Netflix on it, it better be the best that my money can buy. That lead me to a whole slew of questions though - what defines best? How much money am I spending on a TV? Where should I buy the TV from? What size should I get? Is 4K worth it? Should I care about aspect ratio? What even is aspect ratio? Aspect ratio is the number of horizontal pixels for every vertical pixel. Okay, smarty pants. You might know what aspect ratio means, but do you know the answers to any of the other questions? I didn't think so. But have no fear, I'm here to give you the answers to all your life's burning questions. About buying TVs, that is. The other stuff, that's all you. Newsflash: Picking a TV is Hard. There is so much information available when you look at a television that it's easy to get confused. What's important? What specs can you compromise on? A few years ago, the wonderful people at TechHive wrote a four-part series on demystifying tech TV terms, and that's a great source for finding the answers to questions like what's the aspect ratio (which I now know, thank you very much). That too, however, has a ton of information. So we've comprised it even further to some key things you should look at when picking a television. When picking a TV, most probably. You can go under 19-inches, or you can go over 80-inches. It all depends on your preference. The bigger the TV though, the bigger dent it's going to make in your wallet. Roughly translating into picture quality for the layman, resolution refers to the number of horizontal and vertical pixels in the TV. If you're on dial-up internet trying to buffer a YouTube video, you're probably at 240-pixels and that's pretty terrible. You can go up to Ultra HD and 4K Resolution, but you're going to pay for it. We all have that one friend that bought a 3D TV and is trying to get everyone over for a movie night, but is it really worth it? Depends. Some display technologies, like Curved TVs or OLED TVs, are worth it - sit at whatever position you want for perfect view. But others may not be worth the additional price tag. So if this is all you should care about, then finding a TV should be easy - biggest size, best resolution, all the display tech. Find that TV. Buy that TV. Sounds simple, right? That TV probably costs more than a few month's rent, so not that simple. Which brings us to probably the most important thing. An Insignia 19-Inch 720p LED TV (Amazon or BestBuy) retails for $119.99. It's pretty small, not the best resolution, and features LED backlighting that provides better backlighting than older LCD panels. On the flip side, a Sony 85-Inch 4K Ultra HD Android Smart TV (Amazon or BestBuy) retails for $5,999. It's one of the biggest TVs on the market, provides one of the best resolutions available on the market, and to boost, is a Smart TV. There's a $5,000 difference between the cheapest and the most expensive TVs available on the market. So where do you fall in that range? There isn't a set amount that you should spend on TVs - you can spend as much money as you want! But we're assuming that you're here to make the most of the money, and ideally spend the least for the best. So, without further ado, here's the best you can get for the money you want to spend. ...actually, hold up. Before I tell you what you should be buying, let's talk about how to save money while you do that. You might know haggling, but I doubt it's efficient against the Amazon website. But still, there's ways to save money and get great deals on buying televisions. The first thing I recommend is checking out the deals section of your preferred website - Amazon Deal Store and our very own Shop Coupons for sales and deals. I'm writing this now, but it might be worth reading all of this, bookmarking this article, and opening it back up around the holidays. Black Friday and Cyber Monday are known for crazy, door-busting, YouTube video worthy crowds and sales. That's for a good reason, because TVs are one of the most common deals you'll find around the holidays. You could get anywhere from 10% to 50% or more off on the TV of your dreams. You can probably ignore some of the abbreviations beside TVs, but there's some things you don't want to ignore. Resolution and quality will make a world of difference when watching TV. So if you see a 4K Ultra HD TV on sale, but it's smaller than that 70" TV you've been eyeing? It'd be worth it for the smaller one. Extend or Not to Extend? Not. Extended warranties aren't worth the money. You're not likely to use them, and if you're being sold on them by a salesperson, it's more likely for a commission and not for your benefit. If there's something wrong or something you don't like, you'll find out soon enough when you're still in your trial period. Besides, some credit cards offer extended warranties and price protection so be sure to check with your credit card company before you spend on that warranty. Do it. Don't worry about the Mean Girls, and invest in last year's model. The price will be lower than the new, updated, model but you're not likely to see a ton of differences. It's a lot like when a professor tells you get the updated version of the book, and only at the end of the year do you find out that the professor wrote the last version. Check the Open Box or Refurbished sections when you're buying. You'll have to be careful, and it might be worth checking the product when you get it before unpacking it. But Open Box or Refurbished products are often cheaper, and you get the same add-ons as with new productions - manufacture warranty and a trial period from the store. So, now that you're equipped with all the money saving tips, I can finally share what to buy. Depending on how much money you want to spend, here's what and where you should be looking to make the most of it. If all you want is a screen and a remote, check out the Insignia 24" 720p LED TV for $149.99. It's one of the lowest prices you'll find out there, and does everything you'd want a basic TV to do. 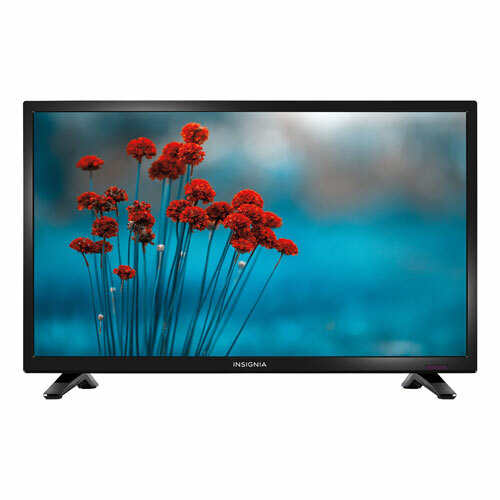 If you want the biggest in this price range, check out the Toshiba 32" 720p LED TV for $219.99. This TV offers DTS TruSurround, which delivers an impressive sound experience. 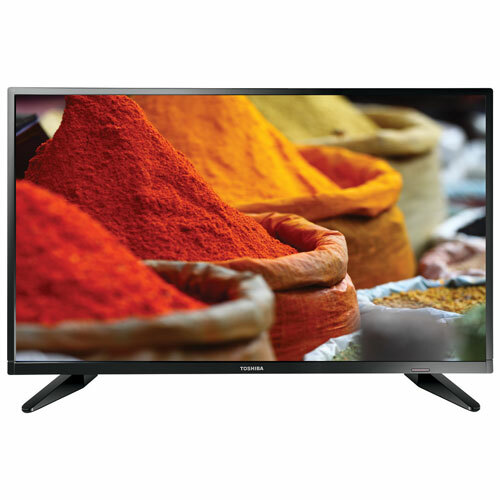 For the best in the range, check out the Insignia 32" 720p HD LED Smart TV for $249.99. Available only at BestBuy, the Smart TV features built-in WiFi to let you access the internet and the Roku TV app gives you access to over 1,000 streaming channels, including my favourite, Netflix. For this respectable amount, you can get up to 50" and quite a few features. The Toshiba 55" 1080p LED Chromecast Built-in TV for $499.97 lets you connect your smartphone or your laptop and directly stream on the television. The 1080p resolution is the best you'll get, and it's the most standard on the market currently. For a deal, check out the TCL 40" 1080p Roku Smart LED TV for $360.77. It's not the most expensive, but a good size and the Roku App is great for basic streaming content. Now we're talking. For under $750, you're looking at a couple great options. The Samsung 50" 4K Ultra HD Smart LED TV for $699.99 has the best resolution available on the market right now, and features Smart TV technology. You'll also get the OneRemote, that controls all your connected devices without any manual programming. For a little bit less, you can get the LG 49" 4K Ultra HD Smart LED TV for $661.59. If you're willing to compromise over an inch, the $30 discount might be worth it considering they have many of the same features. But for a little bit more, the RCA 65" 4K Ultra HD LED TV for $698 gives you a much bigger size. It isn't a Smart TV, but if you're willing to connect an HDMI cord to your laptop for any additional streaming (or invest in a Chromecast, Roku, etc.) then the extra fifteen inches are definitely worth it. For the big bucks out there, there are tons of options. This Sony 60" 4K Ultra HD Smart LED TV for $998 is a great deal and the average you'd spend for a TV this range. It has everything you'd want - Smart TV capabilities, a reasonable size for a large living room, and great resolution. It's also a steal, since you're getting 5% off with Amazon. For the same price, you can also get the Samsung Curved 55" 4K Ultra HD LED TV for $999. It's a little bit smaller, but makes up for it with Curved Technology where you get the same, amazing resolution and view regardless of where you're sitting. Curling up in a ball in the corner of my sofa while watching Netflix? Sign me up! You big spender, you! There's only a few sizes available for over 1K, so here's your options for splurging (which I recommend you do). Sony 65" 4K Ultra HDR Smart Android TV for $1,498 or it's big brother, the 75" TV for $2,999 both have 4K HDR clarity. HDR provides more realistic and clearer pictures, combined with 4K resolution. If you want to go even bigger, here's what you're looking for - Sony 85" 4K HDR Smart TV for $7,499.99. It's the kind of product Amazon requires a signature on delivery for, so you know it's worth it. If you're still in need of some help on picking a TV, or deciding when to buy or where to buy from, here's some helpful links for you! RTINGS.com has over 150 consumer reviews, best of 2018 TVs, as well as a helpful tool that will narrow down which TV you should get based on your preferences. Tom's Guide has an informative TV Buying Guide that'll help you pick the perfect TV. The quick tips at the very top are great for an overview before you jump into it. And lastly, trusty CNET has How to Buy a TV in 2018 for a comprehensive overview on this conundrum. Don't forget to let me know which TV you're buying in the comments below, and if there's any helpful tips you have to share.